Tiger Woods has had his share of ups and downs over the last ten years. Between his lady troubles, DUI arrest, and injuries, it certainly hasn’t been all rainbows and sunshine. It can be difficult for a normal person to go through all of that, and even worse for someone who is in the spotlight. Some people would rollover and never be heard from again. Tiger Woods actually worked through it, and has quite the comeback going right now. Much better than any of his previous attempts at a comeback. Not only is he making the cut in tournaments, he’s finishing reasonably high on the leaderboard. Now ranked 88th in the world, he’s far from the Tiger Woods we use to know. But still very entertaining to watch. This recent comeback is stronger than others, and I wouldn’t be surprised if we see him win another tournament soon. Even when Tiger was at his lowest, his cards didn’t take much of a hit. He accomplished a lot in his golfing career before all the problems arose. What issues he had were all external from the game, and really didn’t hurt what he already had under his belt. It wasn’t like they found out he was taking steroids and they were coming for all of his trophies. Something like that surely would have done him in. Rookie cards of his continue to sell very well. Autographs easily go for hundreds even thousands depending on the card. In a world where plain one-colored relics are a dime a dozen, his hold up considerably strong. In short, pulling a Tiger Woods rookie, autograph and/or relic is still worth bragging about. When you think of Tiger Woods cards and memorabilia The Upper Deck Company first comes to mind. Beginning in 2001, Upper Deck inked an exclusive deal with Tiger. That deal continues to this day. They never bailed on him like some other sponsors did. 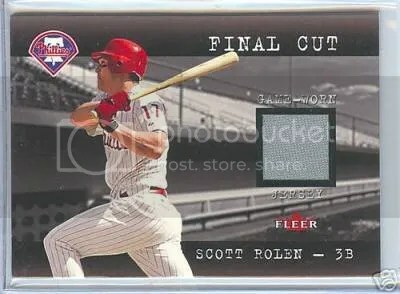 Honestly, it would have taken a lot for Upper Deck to ditch him. Upper Deck needs all the income they can get. I haven’t seen a standalone golf product since 2014 Exquisite Collection. Since then, golfers have been thrown into other Upper Deck sets like Goodwin Champions. Before 2001, Tiger Woods cards were really hit or miss. 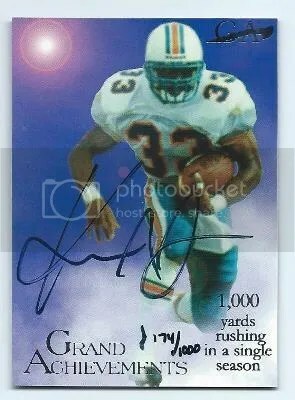 His 1996 Sports Illustrated for Kids card was and still is quite dominant. Another would be his 1997-99 Grand Slam Ventures Masters Collection. One product that I believe is drastically overlooked is the 1997 Topps Genuine Issue Tiger Woods Photos. That’s correct. Four years prior to his Upper Deck exclusive, Topps issued this small Tiger Woods-themed set after he won the 1997 Masters. Its weird to see Tiger Woods pictured on a Topps product. Topps isn’t known for it’s rich history with many golfers. Over the years though Allen & Ginter has had it’s share including Arnold Palmer. This set consists of six 8″ x 10″ photos. Every pack has the same six pictures. There are no autographs and/or relics to look for. Sealed packs range in price from $50-$75. None of the photos have any type of design to them. No borders or fancy coloring. Just photographs. In a strange way it kinda gives you a glimpse as to what a golf-focused Stadium Club set might have looked like. This contest is for a Karim Abdul-Jabbar 1997 Genuine Article Grand Achievements Auto #’ed/1000. Good luck!!! This contest will end Friday, April 3, 2015 @ 8:00 p.m. EST.